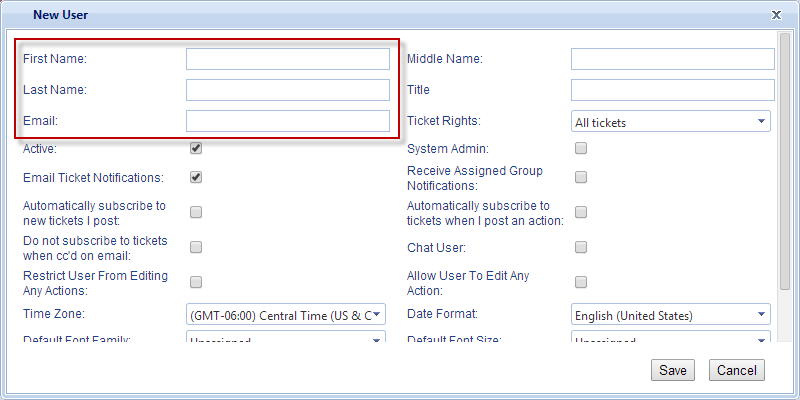 To add a new user you will need to click on User from the left hand navigation from within TeamSupport. Click the Add button. This button is only available to system Admins. Then fill out the form. There are 3 required fields on this form: First Name, Last Name, and Email. We also recommend that you leave “Active” and “Email new user a password?” checked.